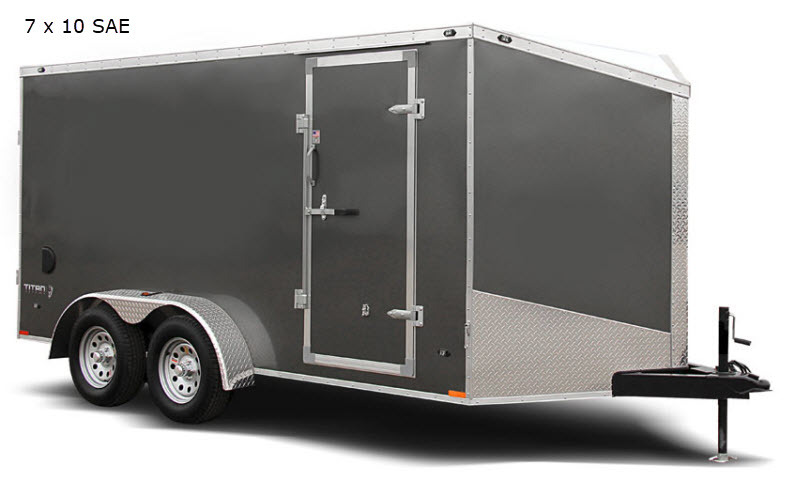 Haul your cargo with ease with the Titan cargo trailer by Stealth Trailers. These models are available in either a single or a tandem axle. Each model features a flat top slant wedge which allows for better aerodynamics plus there is a bit more storage space in the front of each trailer. Whether you need a trailer for your business or you need to haul equipment around town, the simplest choice is the Titan cargo trailers! Stealth Trailers started building trailers in Elkhart Indiana in October '08' and quickly surpassed our expectations. We moved to a larger facility in August '09', Introduced our aluminum trailers in the fall of '10' and purchased an adjacent building in September '11', to help meet the growing demand for our products. 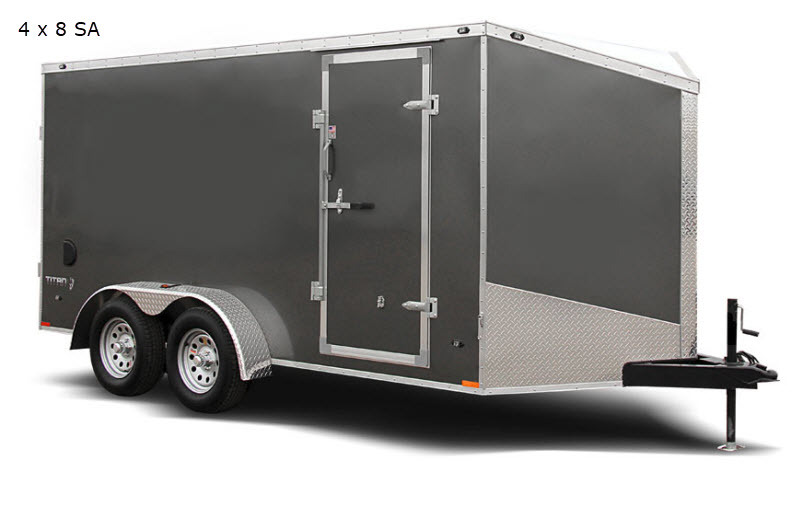 We here at Stealth are committed to providing our dealers and their customers with the best value in enclosed trailers. We offer many different models, from our entry level Titan and Sabre series, to our deluxe Viper car haulers or our deluxe Blackhawk motorcycle series. We offer a broad range of trailer styles and sizes, from a 4'x6' single axle trailer, up to a 52' triple axle gooseneck or fifthwheel. 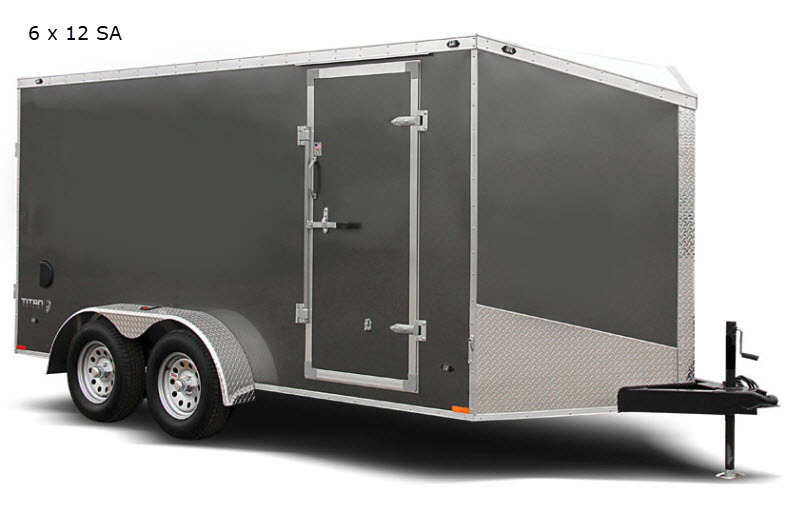 With a large selection of options, we are able to customize a trailer specifically for your needs. From heavy axles, windows, electrical, to bathroom packages and concession trailers. Whether you are hauling general cargo, lawnmowers, motorcycles and snowmobiles, or race cars and show cars, we can build you a trailer. All of our business is conducted through our hand picked dealer network to insure that Stealth Trailers are represented by trailer professionals capable of handling any questions and making suggestions to help you best decide which model best fits your needs.